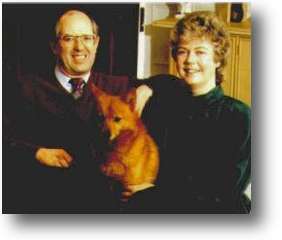 Angela Cavill first became involved with the world of animal care as a breeder of Finnish Spitz and with her husband, owns the U.K.'s most successful breeding prefix having bred or owned over 70 Champions although only breeding one or two litters each year. Since the competition for 'top breeder' was launched in 1981 the 'Cavills' have been the top breeders of all breeds every year but five - and have always been included in the top four. Since 1974 she has been organiser of one of the U.K.'s largest dog shows, Southern Counties Canine Association's General Championship Show which attracts an entry of 8,000 dogs. She is a member of the Kennel Club and was a founder member of the Kennel Club Junior Organisation Council which was set up to encourage sensible dog ownership by young people. She is a Vice-president of the Finnish Spitz Club and was its Secretary from 1984 to 1992, subsequently becoming its Chairman. She also administered its Rescue Service. She has served as a member of Shows Council of the Kennel Club. She first became involved with the Dogs Home Battersea during the late 1970s when she was appointed its Public Relations Officer and is full member of the UK Institute of Public Relations. With her husband, she was joint manager of Bell Mead Kennels, Battersea Dogs' Home's Country Annex at Old Windsor for eleven years so was deeply involved in the world of stray and rescue dogs. She speaks Finnish and is a confirmed Finnophile, visiting Finland several times each year to work with dogs and to see her many friends. She is a member of the English Speaking Union and is developing closer ties with the Finnish Embassy in the UK and the ESU as well as with the German Embassy where the wife of the Ambassador is Finnish. Her other interests are food, travel, music and theatre.